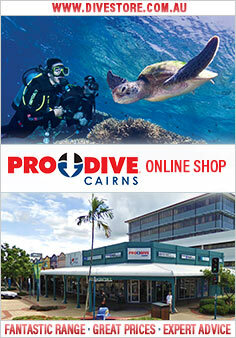 Port Douglas’ brand new, and only, purpose built dive training facility. Scuba diving is the best way to explore the Great Barrier Reef, and there is no better place in the world to learn to dive than in its warm waters! Quicksilver Dive's PADI Four Day Open Water Dive Certification course is ideal for adventure seekers looking to take that next step in their voyage of discovery. Two days of classroom/dive pool training is conducted at Port Douglas' only purpose-built PADI 5 Star IDC dive facility, centrally located with a heated dive pool and air-conditioned classrooms. The two days of practical training on the Great Barrier Reef are conducted on board a modern dive and snorkel catamaran, with access to some of the region’s most pristine dive sites. The same experienced dive instructor will be with you over the four days of your dive certification which, along with the smallest possible student to teacher ratios, ensures a personalised, comprehensive, safe, professional and most importantly fun, learning experience! Courses start on Monday each week in English. Private classes available on request in English, German, French and Spanish. Practical theory and pool exercises. Depart Port Douglas marina for the Outer Barrier Reef on board one of Port Douglas' premier dive vessels. Minimum age is 12 years. Children under the age of 15 must be accompanied by parent or adult over the age of 18 years.